Cary Fukunaga is a wonderful director. With stellar work on Sin Nombre, Jane Eyre (when was the last time you saw a really great adaptation of a Victorian novel?) and the first season of True Detective, Fukunaga has well and truly established himself as one of the most important talents working in film today. 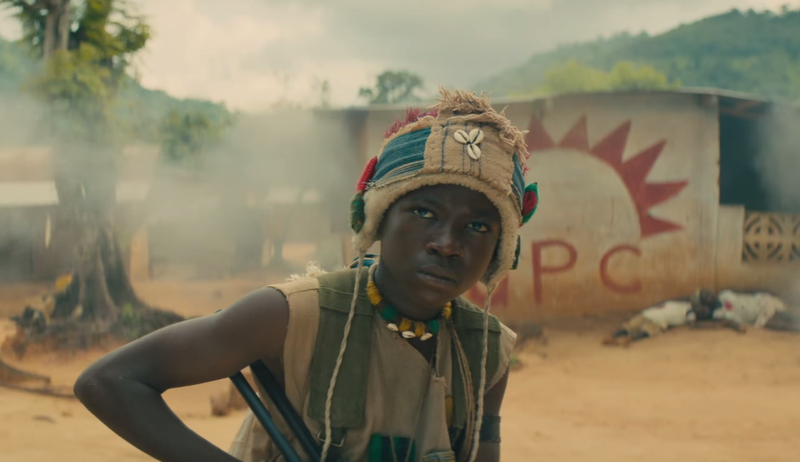 His newest project is Beasts Of No Nation, and it looks about as intriguing as you’d expect from a film from Fukunaga. Get this – it’s also Netflix’s first theatrical release, making it the first time that an internet streaming service has put its name to a theatrically released film. Subscribers to Netflix will be able to view the film on the same day that Beasts hits cinemas. The decision certainly didn’t win Fukunaga or Netflix any friends with the folk over at established theatrical distribution companies, but it’s certainly a step in the right direction if distribution is going to keep up with the times. Keeping up with the times is what we’re all about. Beasts Of No Nation stars Idris Elba, Abraham Attah, Ama K. Abebrese, Grace Nortey and David Dontoh and is set for release in October, 2015.